Looking for Gymea skip bin hire? Look no further than MCM. If you need a fast and easy service to get rid of your rubbish in Gymea at a great price. Your local supplier at MCM Skip Bins can give you a good deal. We live where you live and have been servicing the area since 2003. This gives us great knowledge of the best options for skip bin hire and placement in Gymea. You get the best price because of the convenience. You may need a one off skip bin in Gymea or quit a few. Our bins are used for bathroom renovations or to quickly getting rid of pesky rubbish when moving house. You might be giving your place a good clean out. Changes in the backyard, larger renovations or the harder task of clearing out a deceased estate sees many of our clients call us and discuss which size would suit best. Our years of experience means we know all the right questions to ask you in working out which size you need. We help plan where to place the bin and check if you need a rear door for easy access and loading. Local businesses are warmly welcomed in the riverside suburb of Gymea Bay. Gymea is located in the centre of the Sutherland Shire 26km south of Sydney’s centre. Over the years Gymea has expanded to encompass a much larger area. However, it has still strongly maintained a village atmosphere largely due the thriving shopping strip of Gymea Bay Rd. This effervescent group of shops includes, cafes, restaurants and the long standing Gymea Hotel. Recent additions of specialty eateries, patisseries and gifts stores have seen MCM busily changing over skip bins for shopfitters and business owners alike. A strong sense of community can be felt in Gymea lead by the wonderful schools in the area Gymea Bay Public School, Gymea North Public School and Gymea Technical High School. The area is also lucky enough to boast Gymea TAFE which has produced many of our great builders in the Shire who are valued customers of MCM Skip Bins. We pride ourselves on long-term relationships with our builders. All sizes 3, 4, 6 and 8 metres skip bins are seen on building sites across Gymea and the Sutherland Shire. The Tradies club at Gymea sponsors many of sporting clubs in Gymea and Gymea Bay. The community enjoy sports at Gymea Junior Rugby League Club, Gymea United Soccer Club, Gymea Netball Club and Gymea Bay Cricket Club. Residents are lucky enough the have wonderful ovals, courts and nets. 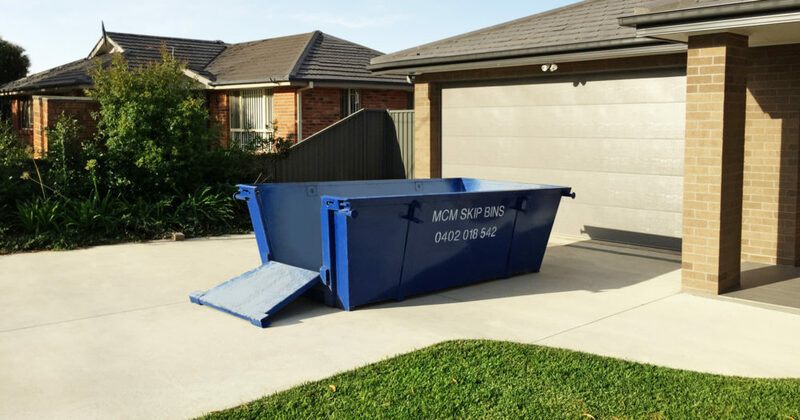 Your skip bins hire in Gymea is always quickly and easily taken care of by MCM Skip Bins and we thank you for your years of loyal patronage.